Hide this Project (Ideal Enclave) Discover properties in other projects by hiding the ones that doesn't interest you. You won't see them in your searches further but you can unhide anytime later. Hide this Dealer (Kingslike Homes Pvt. Ltd.)Discover properties by other dealers by hiding those whom you have already spoken to. You won't see them in your searches further but you can unhide anytime later. Hide this Dealer (Dream Home Realty)Discover properties by other dealers by hiding those whom you have already spoken to. You won't see them in your searches further but you can unhide anytime later. Hide this Dealer (Elara Marketing)Discover properties by other dealers by hiding those whom you have already spoken to. You won't see them in your searches further but you can unhide anytime later. Hide this Dealer (Transventor.com)Discover properties by other dealers by hiding those whom you have already spoken to. You won't see them in your searches further but you can unhide anytime later. Hide this Dealer (Shri Vriddhi Properties)Discover properties by other dealers by hiding those whom you have already spoken to. You won't see them in your searches further but you can unhide anytime later. Hide this Dealer (Urban Green Properties)Discover properties by other dealers by hiding those whom you have already spoken to. You won't see them in your searches further but you can unhide anytime later. Hide this Dealer (M.R Marketing)Discover properties by other dealers by hiding those whom you have already spoken to. You won't see them in your searches further but you can unhide anytime later. Hide this Dealer (MK Realtorss)Discover properties by other dealers by hiding those whom you have already spoken to. You won't see them in your searches further but you can unhide anytime later. Hide this Dealer (PROPERTY SQUARE)Discover properties by other dealers by hiding those whom you have already spoken to. You won't see them in your searches further but you can unhide anytime later. Hide this Dealer (Time Care Services)Discover properties by other dealers by hiding those whom you have already spoken to. You won't see them in your searches further but you can unhide anytime later. Ideal Enclave in Bablatala, Kolkata East by Ideal Group Builders is a residential project. 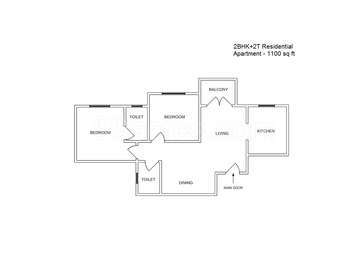 The size of the Apartment ranges in between 1095.0 sq.ft. and 2160.0 sq.ft. Ideal Enclave price ranges from 47.00 Lacs to 1.30 Cr. Ideal Enclave offers facilities such as Gymnasium and Lift. It also has amenities like Badminton court and Swimming pool. Bank loan approved from HDFC home loans, ICICI, State Bank of India, IDBI Bank Ltd., LIC Housing Finance Ltd. and Indiabulls. It is a ready to move project with possession offered in Dec, 2015. The project is spread over a total area of 6.64 acres of land. It has 60% of open space. Ideal Enclave has a total of 20 towers. The construction is of 10 floors. An accommodation of 589 units has been provided. Ideal Enclave brochure is also available for easy reference. Kolkata, the city of joy has a realty market scenario like no other. The addition of emerging townships in the city has affected the residential real estate market hugely. Along with this, the developing infrastructure, presence of large industries, well connectivity between major micro markets and a stable economy of the state has helped Kolkata create a positive feel throughout. In which area is Ideal Enclave located?The project is situated in Bablatala, Kolkata East. What apartment sizes are available in Ideal Enclave? The project offers apartments sized between 1095.0 sqft and 2160.0 sqft. 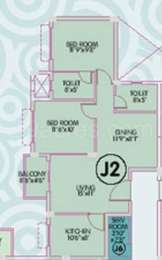 What is the 2 bedroom size in Ideal Enclave? 2 BHK units in the project are available in a size of 1095.0 sqft to 1260.0 sqft. What is size of 3 bhk in Ideal Enclave? The area of 3 BHK apartments ranges from 1445.0 sqft to 1780.0 sqft. 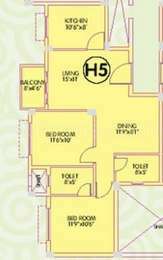 How much is area of 4bhk in Ideal Enclave? The area of 4BHK units in the project varies from 1805.0 sqft to 2160.0 sqft. How much is the actual area of Ideal Enclave?The area of the project is 6.64 Acres. ich has been achieved by placing suitable people at the required places. The worst developer IDEAL Groupwho is not capable of fulfilling the commitments. It has been more than 4 years I have done my booking in Ideal Enclave 2 in 2011 and after giving me a tentative date of possession in August 2013 since a year "Mr Trustable IDEAL Group" keeps on postponing the dates .So I visited the construction site to find out what%u2019s cooking up the and found out that they have invested all my amount in some other project and construction of my building hasn't started as yet. The worst developer "Mr Trustable IDEAL Group" who is not capable of fulfilling the commitments..... It has been more than 4 years I have done my booking in Ideal Enclave 2 in 2011 and after giving me a tentative date of possession in August 2013 since a year "Mr Trustable IDEAL Group" keeps on postponing the dates .Last time I received a mail that the possession will happen in Nov/Dec 2013 and then postponed to January 2014. So I visited the construction site to find out whats cooking up there and found out that they have invested all my amount in some other project and construction of my building hasn't been started as yet. When I asked "Mr Trustable IDEAL Group" how can you demand money on time but not give the possession , they have a different answer that the getting approval to construct a building above 7 floor got delayed .But the truth is before starting any project by any builders they get all this authorizations approved. So when I threatened them to serve a legal notice they said that they will give the possession on Nov 2015. So now 2 years delay by Mr Trustable IDEAL Group". Seriously I doubt the possession will happen in Nov 2015 too. The most important point when I asked them for interest on the payments or amounts that I have been paying to my landlord in Mumbai as I am unable to shift to Kolkata due to delay, they fairly say that if the possession doesnt happen after given date i.e Nov 2015 , they will buy the flat with the interest on the paid amount and on the rate past at the time of purchase . WTF who will pay the interest on the bank loan that have been taken to payoff and who will pay all the rents that I have been paying for 2 years in Mumbai. "Mr Trustable IDEAL Group" seriously thinks that people are fool Guys I need your help to spread the word that dont buy any flats in "Mr Trustable IDEAL Group" because seriously its fooling around with time and its will be great if I can get some Consumer court redressal procedure. 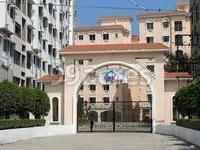 3 BHK in 50 lacs at Sree Shore's Icon, bangalore - good to buy? Hi, I'm getting a 3 bhk apartment for 50 lacs in Marathahalli area of Bangalore.. how's it in comparison to other projects in the same area? The project has a swimming pool, club house, gymnasium, 24 hour backup, community hall, health and recreation facilities, etc. and other basic facilities like lifts, rain water harvesting, etc. It's a good project with all the necessary amenities available. Sir, this rate is lower than the locality standards of around 4000/- per sq ft. So you can consider this project for investing. But Marathahalli has slow rate of appreciation, so you can only expect good returns if you hold the property for a few good years. What features is the builder providing in this project? Can you please tell me the psf price of this apartment or the area/size of this particular flat..